Want to Drink a Budweiser BNA? How About a Bud Light LAX? – Budweiser has applied for rights to airport codes, possibly to brew specialty beers in its branded airport bars? Interesting idea. Locked Up Abroad Lessons Guyana: The False Allure of Pre-Paid Vacations – I didn’t have a chance to watch the episode that the National Geographic Channel alludes to. But the accompanying article is a word of warning to anyone facing a too-good-to-be-true living abroad opportunity. 21 Pictures That Will Restore Your Faith In Humanity – I usually hate these kind of listicles, but this one got to me. Have a look. It’ll make you feel better. How sticking your thumb out became the universal sign for hitchhiking – Via @davidfarley, an intriguing piece about hitchhiking. National Geographic Magazine As An ‘Instrument Of Doom’ – I found information about this old National Geographic Magazine doomsday hoax and wrote about it for Gadling. Bodleian Library considers lending books after 410 years – This is seriously cool news. Do you think they should do it? ‘You’re not special’: The best grad speech ever? 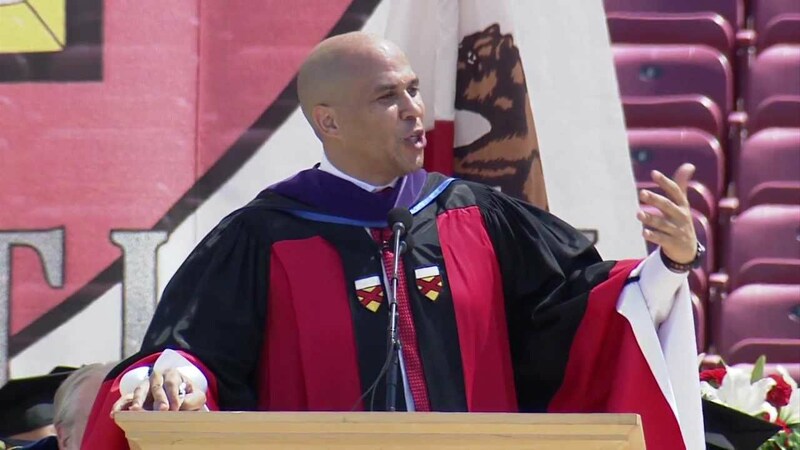 – One of the most bubble-bursting graduation speeches of all time is followed up by Cory Booker’s speech to Stanford graduates, an incredibly inspiring speech. Robert King’s Photos of Syrian Violence – The New York Times presents photos from Syria by Robert King of Polaris. We’re not seeing a whole lot of photos about the violence in Syria. These give you a sense of just how terrible the situation is. Gin Leads Summer’s Fight – Eric Asimov of the New York Times defends gin (delicious gin!). Eater Maine : The Portland and Maine Restaurant, Bar, and Nightlife Blog – Eater just launched its first state food blog, Eater Maine, this month. I’m heading to Maine later this summer, so this is awesome news. Photo of the Day – Horseshoe Bend – I took over Photo of the Day duties at Gadling and found this beauty in the Flickr pool. ‘This Is The Place Death Delights To Help The Living’ | Gadling.com – I wrote this piece on the National Museum of Health and Medicine (aka the Army Medical Museum) for Gadling. I also took the creepy photos in the gallery. Researchers Find Online Photos are Worth Much More than 1,000 Words – All of our photos are being cataloged and spliced together to create 3D images of places around the world. Via @craignewman. FunnyJunk is threatening to file a federal lawsuit against me unless I pay $20,000 in damages – The Oatmeal responds to a $20,000 lawsuit the best way he knows how. Of course, the fallout of all of this is that the Oatmeal raised hundreds of thousands of dollars in an IndieGoGo campaign only hours after posting info about this pending lawsuit. Jailed Turkish Journalists Available for Adoption – Via @ClaireBerlinski on Twitter, an interesting way for the international community to gain awareness about the plight of many Turkish journalists, jailed for their views and words.